Once you’ve enrolled your child in an educational enrichment program, you’re not involved anymore, right? I sincerely hope you just felt shock and confusion (even horror) when you read that. A parent’s job is never done, and, as we may have mentioned before, you get best results from an enrichment program when parents and tutors act like partners. 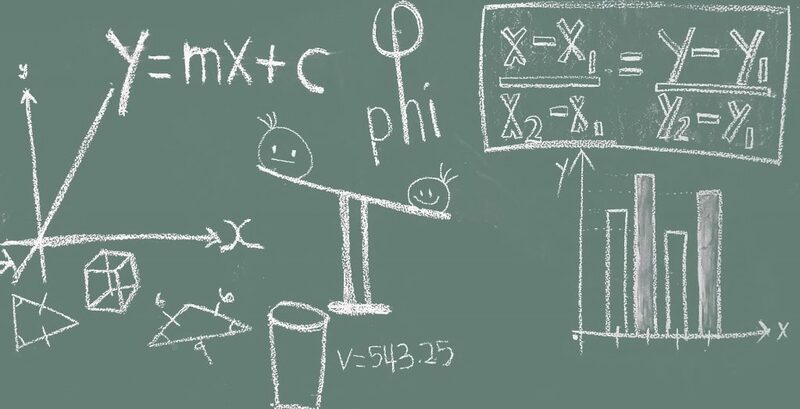 So here are some math tutoring tips and tricks for parents that can help you ensure you’re working with the enrichment program – not against it. 1. Be Honest about Your Child’s Level. Math tutoring centers like A Grade Ahead, offer assessment tests to place students in the right classes. Naturally, parents want their children to place higher – that’s to be expected from parents who have high hopes for their children. Unfortunately, the more parents are concerned with the child placing ahead of his or her grade level, the more likely they are to try to push the child up to the next grade or the next level. That’s fine if the student is ready for that level of math, and, yes, we like to encourage our students to push their boundaries and embrace new challenges; however, there are limits. Sometimes, the best way to move children ahead is to encourage them to do their best and accept whatever math levels that puts them in. Remember that being so far ahead that a child doesn’t understand makes that child learn less than being placed at the correct level – even if it’s not as far ahead as you would like. And sometimes, students just aren’t ready for a specific concept. That doesn’t mean they won’t ever understand it, just that they need a little more time. It’s also important to remember that levels aren’t permanent – they depend on what the student understands. So the best way to move your child up is to improve his or her understanding (not putting them in a situation that demands skills the student doesn’t have yet). 2. Be Careful about How You Help with Math Homework. When you’re trying to explain how to do a specific type homework assignment, the most natural response is to do the problem and show each step of it. It’s a teaching method, and it’s a good starting point; however, if the problem is the student’s homework, you’ve just done that bit of homework for your child. And I’m sure that’s not what you want. Use a different example (one that isn’t part of the homework assignment). Sometimes, teachers will assign odds, evens, or even specific problems, so a problem from the examples or one that wasn’t assigned. If you’re really comfortable with the math, you could even make up a similar problem with different numbers. Ask the student to explain a problem to you. This is the absolute best way to narrow down what they understand and what they don’t (including whether they know how to explain something). 3. Know the Teacher’s Rules. You want to be a resource to your children, so the last thing you want is to teach them a way that they aren’t allowed to use at school – at least, not without addressing that issue. This was probably a problem back to the stone ages: “That’s not how I learned to do it!” And since the way we learned it worked for us (and makes more sense to us), there’s a tendency to stick with that. It’s hard to teach something that’s new! Something that we may or may not understand. But what if that’s not the way your child has to do the work on the test? You see the problem. Teachers often grade on more than the right answer, especially in younger grades when the right answer isn’t always the main goal. You may want your child to be good at doing math in his or her head, but if the teacher is testing students on showing their work, you want your child to be able to do that, too. Not only that. You want your child to be willing to show work. I’m not kidding. I’ve had students whose parents value doing math in your head so highly that they almost look down on written work. As a teacher, it hurts to give students poor grades when they know how to do something. If every problem is broken up into 1 point for the right answer and 1 point for showing correct work, then a student who doesn’t want to show work automatically misses half the points! Ouch! When I’m teaching students a method, and they say that they aren’t allowed to use it at school, I tell them that knowing the teacher’s rules is part of school. It’s ok to learn both methods, but if their teachers don’t want them to use one at school, then they shouldn’t use it at school. We’ve also had a teacher ask us to send a sample of a math method to verify it works correctly before she would allow her students to use it (which I thought was the mark of a great teacher). One warning: teaching both methods is only fine if it doesn’t confuse the child. If your child seems to be getting more confused (instead of less), then stick with the method the teacher uses. Some teachers even have special lessons for parents so that they can help their children, so don’t be shy about making use of those! 4. Put Energy into Grading. In an educational enrichment program, students may have homework outside of school that the parents grade. Students may also be rewarded if they turn in their grades or good grades. And while I know it’s hard to deny that adorable little 3rd grader that special star or coin or points because he or she didn’t do the homework, but the reward isn’t why you put the student in the program, right? I teach middle school and high school, so, believe me, when I say that getting kids to do their homework gets harder as they get older. If you don’t establish that expectation when they’re young (and stick with it), putting it in place later can be a real problem. By giving students a grade they didn’t earn in order to get a reward, you’re teaching them more than you realize. The work / grade isn’t that important to you. The reward is more valuable than the effort / outcome. Wait. What? Parents don’t support any of that! They’re sending their students to an extra program so that they’ll learn and have higher skill levels – parents wouldn’t choose to send those messages to their children! But when you’re tired after a long day of work, you’re not thinking about underlying messages. You’re thinking that the last thing you want to do is grade Pre-Algebra I homework, and that makes perfect sense. Grading is work. skip grading it that week, but don’t give them a score for it until it’s graded. sign for a grading service if it’s available. have the students grade their own work and then spot check it briefly. This teaches the students responsibility and is rewarding to them because you trusted them to do it. I prefer the second two options – the first option can easily be overused, and that starts to send the message that it doesn’t matter if they do the homework or not. At that point, I’d look into a grading service. That way you’re still holding the student accountable for the completeness and quality of his/her work. My mom is a first grade teacher, and her advice when students aren’t understanding a math concept is to find a way to visualize it. Whether it’s using a 3D object that represents the math action (like using cubes for place value or replacing a variable with a bag of marbles [we don’t know how many marbles are in the bag, but we know how many bags of marbles we have.]) or a simple picture or drawing, using an image instead of math can help move students out of ruts and get them thinking about the math in a new way. And sometimes that’s all it takes to get them to make a new connection and increase their understanding. That’s one reason why visualizing math and hands-on activities are becoming more and more popular in education. It’s also why we’re integrating hands-on activities into our own curriculum. Well, there you have it. Five math tutoring tips and tricks for parents. Are there any we missed? What tips would you like to add?